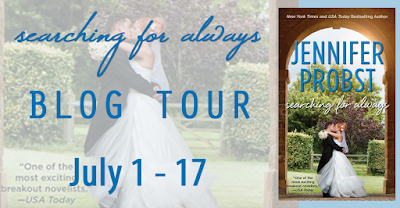 Welcome to my stop on the Searching For Always blog tour hosted by InkSlingerPR! Source: e-ARC received via the publisher and InkSlingerPR in exchange for a fair and honest review. I have been really excited for Stone and Arilyn's story ever since I finished Searching For Beautiful! We briefly met the surly police officer who got under Arilyn's skin in the last book and I was happy that he was the one who would become her love interest. I love gruff, grumpy guys and Stone fits that bill perfectly. However, this book was about so much more than just their romance. It features a love of a different kind and it completely melted my heart and even made me cry a few times. If you have read the previous novel in the series, it should come as no surprise that Stone and Arilyn do NOT get along. These two are complete opposites and are pretty stubborn and set in their ways. Their paths cross once again after Stone is required by the force to participate in anger management classes after he loses his cool at a domestic abuse scene. Arilyn wears many hats and she just so happens to be the one giving an anger management class, in addition to her working at Kinnections, volunteering at the animal shelter, fostering dogs... She has a big heart and I really loved that about her. Stone thinks anger management is a big waste of time and is less than thrilled at being there. Arilyn's methods are a bit... different and I can't blame him for thinking the way he does. Arilyn was a bit extreme for me, but there is a deep-rooted reason for her lifestyle choices and after learning that, I did respect her character even more. As much as the two irritate one another, I loved the chemistry between them. They are both attracted to one another but neither wants to acknowledge that fact especially given how different they are. As I said, Stone is surly and he is very much a man's man. He's not like Arilyn's ex (which is actually a good thing since he was a douche) and isn't looking for a deep, spiritual connection. In fact, he's not looking for a connection at all- save the physical kind. However, once the two give in to their more primal urges, Stone starts to realize that not falling for this woman is going to be a lot harder than he expected. I mentioned a different kind of love in my opening paragraph that I have to discuss. 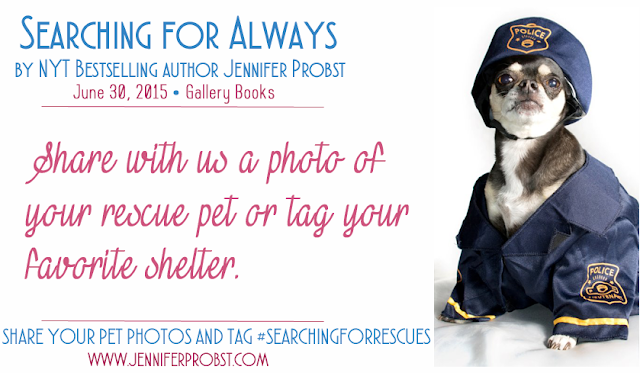 I absolutely LOVE how passionate Probst is about animals and you can really feel that passion conveyed in her books. After falling in love with Robert, the paraplegic pitbull in the first book, we get to meet Pinky, a chihuahua Arilyn rescues in this one. Pinky has very clearly been abused and the lifelessness in her absolutely broke my heart. Stone is NOT a dog person, having had a bad experience with one as a kid, so to see him accept this frightened little dog into his life was more than I could take. Stone doesn't do well with feelings, but to see this big macho guy take this little tiny dog everywhere with him, sent me into full on swoon mode. Overall, I was quite happy with this addition to the Searching For series. I liked seeing Arilyn get her HEA, especially after all of her friends have gotten theirs. It was nice to see the girls and their men again, though I do wish the epilogue was a bit more Stone and Arilyn focused. I do hope Probst continues with this series and we get some of the secondary characters' stories! I'm glad you enjoyed the romance and although I haven't read this author, I'm impressed with her dedication to and love for animals. And there's something so cute about a big tough guy with a little dog! 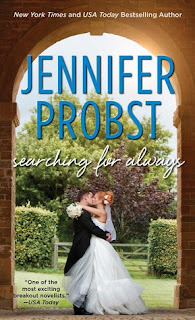 I love Jennifer's books! She is so sweet in person too. In the first book in the series, she actually did the epilogue from the dog's point of view and it was the most precious thing ever!